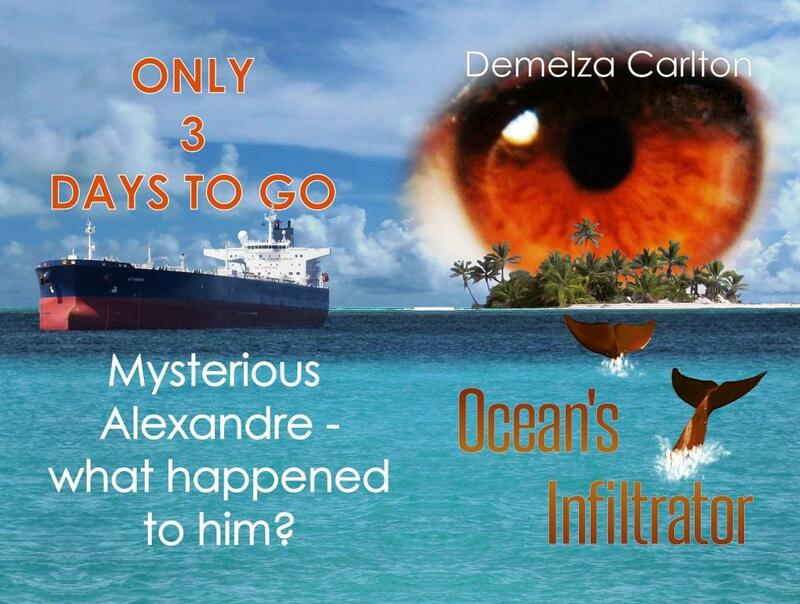 With only three days to go, here’s another taste of Ocean’s Infiltrator – complete with a Harley and ducklings, but missing underwear. Mother was mistaken, I know now. There is always duty, but occasionally pleasure is a part of it. I tried to focus purely on the speed, the feeling of air rushing past me as the metal beast between my legs roared his defiance at the road. There were few others around at this early hour and I pushed him harder than I should have. It was not enough. I felt tears on my face once more at my memories, for my pain dwelt deep. I had not thought of Duyong or Mother for many years, though Mother had survived her oldest child and trained one of mine to take Duyong’s place as Healer. No longer a scared child, as Elder Sirena I had claimed my place on the Council, many years ago now, and I suspected none were as skilled in seduction or song as I. Not a single one of my students showed the promise I had – but perhaps they lacked the inspiration. A man who would love a dragon, indeed. Movement caught my eye on the street ahead and I reluctantly slowed. Without my sharp eyes, someone might have been hurt. Like my second daughter’s father, killed on a wet road whilst riding his old Triumph, with his wife riding pillion behind him. What a waste. It takes a special kind of man to love a dragon. I sat patiently waiting for the mother duck to cross the road with her ducklings, from the river to the pond in the park on the other side. She looked at me for a moment and I gave her a nod of acknowledgement. She knows what I am. A water dragon on a hog in the pre-dawn light, remembering my own chicks at home. I sighed, missing all three of them, though none were as fluffy and innocent as the ducklings before me. No, on land I am Vanessa, just another human. I must remember that as the ocean’s infiltrator, I am not a dragon or a fish or any other creature – I must think like a human. My bike snarled beneath me, a sweet sound that I’d missed, so I guided him home. I reluctantly covered Harley up with his dust sheet in the garage, my riding helmet tucked into the lockbox at the back. I’d considered selling him, as he wouldn’t fit with the image I needed to provide in the near future, but sentimentality won out. He reminded me of a certain Scottish engineer who’d had a liking for leather. The man was long dead now, though his legacy lived on. It seemed my life was full of such memories: the highlights that I would never forget amid the farewells that were left unsaid. I turned out the light in the garage and trudged to the basement, my fair hair fluttering like frayed rope in the light breeze off the river. Stiff locks clicked as I turned keys, stepping into the secure storage room protecting my possessions from prying eyes. The space was filled with furniture – I would need to shift it to the house before I left tomorrow evening. For now, I had a moment to indulge myself. I knew the bookcases by sight and touch, though it was too dark to discern the words. The books I looked for were as familiar to my fingers as my own skin, for I had caressed the covers many times. They held the history of me and mine. Beneath the books…ah. I dropped to my knees, opening the drawer at the base of the bookcase to pull out the rolled pages my mother had drawn at the end of her life, the colours still bright. Crossing the room to the light switch, I reflected that I would need more light to see this in the detail I wanted. The light flared briefly, before emitting a sound like an egg cracked on the side of a glass bowl and returning me to darkness. “Useless human technology,” I said aloud as I started up the stairs to where the sunlight streamed in, sitting on the steps with my pages. I made a mental note to have more than one light installed in the basement. Perhaps I would have those little LED down-lights that sparkled so in the lighting shops on Leach Highway. I unrolled the crackling paper against the bare white wall beside me, thinking of the envoys I must send on my return. The first was a map, originally drawn by humans, but marked by Sephira’s hand in ink. The city’s location, the location of other points she knew and visited, each represented by unlabelled ink dots in the flat blue of the Atlantic Ocean. My chosen envoys faced a long swim. The second was her drawing of what the city of Atlantis used to look like, when it was on the surface. When our kind were known to humans. My people taught the Greeks to build as they had, as well as how to rule with a whole people. They had corrupted our governing system as only humans can, but the buildings had not been as poorly constructed as their democracy. Our city had been beautiful, built over and around water, a coral atoll that had sprouted pastel marble which reflected sun and water to perfection. I touched the picture, with its vivid colours. Mother had even drawn in the light in the sky, the glow of the volcano that sent a tsunami over my people’s home when only we had survived. What would it have felt like to swim in tsunami waves? The power of it aroused me more than was wise, alone as I was. I took a deep breath to steady myself. I shifted the coloured page and set it beside the black and white sketch beneath it. Ah, the contrast between the city my people built and the ruin it had become, before I drew my first breath! I toyed with the thought of going in the envoy’s stead, but my duty lay here, in my human house in a human city. As I had discussed with Darma, our envoys should be led by Cantrella, for she shared the philosophy of our Atlantic sisters far more than our own. I drank in the colours, wondering whether Cantrella would be willing to come on land and draw what she had seen for me. I doubted it. Perhaps I should purchase one of the underwater cameras the humans had and ask her to take that instead? I could put digital photographs on my laptop computer, which I would need to replace with the latest model once more. I lifted my hands, letting the papers crackle and roll up. Practical matters drew my attention more than my memories of the past. I had important decisions to make. To help the humans or stand by and let them die?